Who hasn’t heard of the Philly Cheese Steak Sandwich!? Our chefs take it up a notch by adding Knorr Gravy to the cheese sauce. The result? A meatier, intense flavour that you ought to try out for yourself! Sirloin Steak; cook, rest, and slice thinly. Mix water and Knorr Demi-Glace powder together; bring to boil and mix with cheese sauce and simmer for few seconds. Add steak back to pan and warm through. 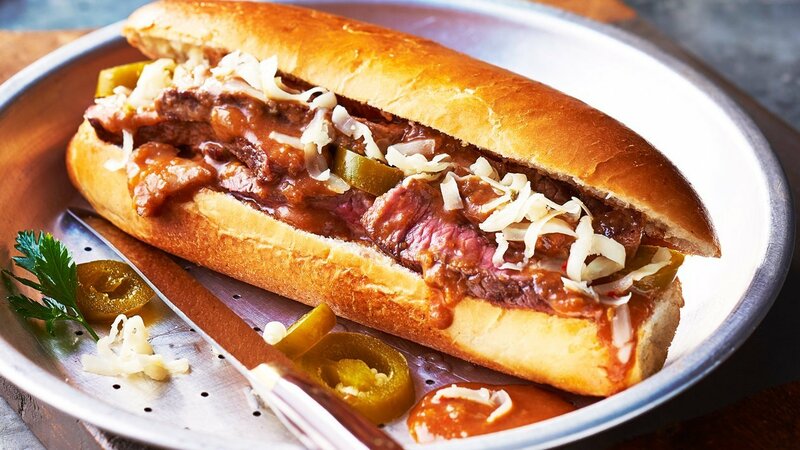 Fill buns with steak and sauce, top with pickled jalapenos, extra sauce and extra grated cheese.